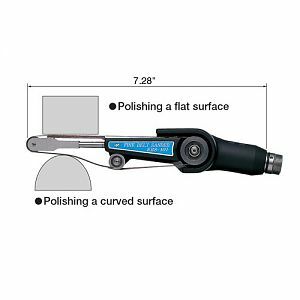 Together with the interchangeable rotary handpieces, the NSK Fine belt sander system makes up the best polishing packages available. • Belt runs approx. 0~2,820 ft/min. • 8mm, 6mm and 4mm width belts are available. • The angle of the belt is fully adjustable. • Allen Wrench - 3mm: 1pc. • See Fine Belt Sander Accessories for Individual Belts.